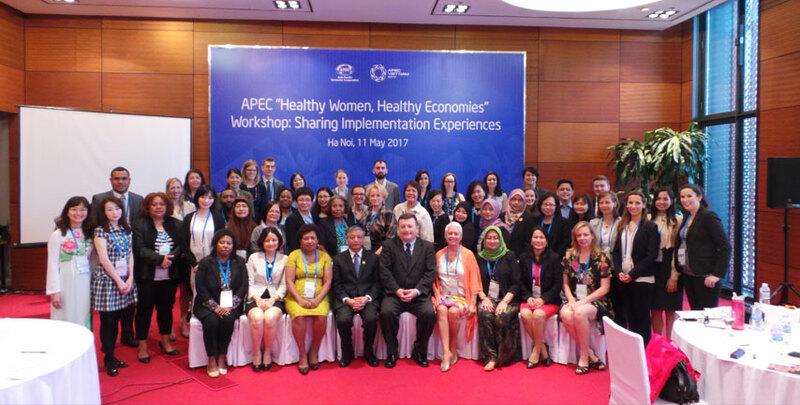 In May 2017, Healthy Women Healthy Economies held an “APEC Healthy Women, Healthy Economies Workshop: Sharing Implementation Experiences” in Hanoi and brought 46 participants across 12 APEC economies and various private sector partners to share tangible examples of the progress to date of HWHE programs throughout the region. 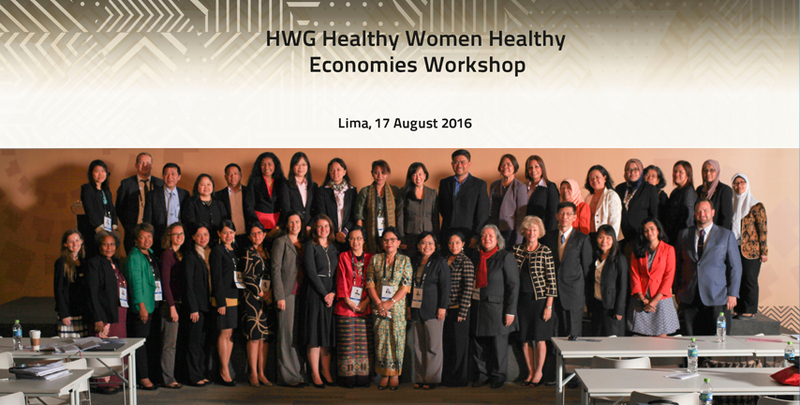 In August 2016, Healthy Women Healthy Economies brought together governments, businesses, and organizations to take the vision of the initiative to implementation through a two day workshop in Lima, Peru. Find the outcome report of the workshop here. The Policy Toolkit represents a menu of options that economies may pursue in part or as a whole on key issues on which they want to focus within the “Healthy Women, Healthy Economies” objective. 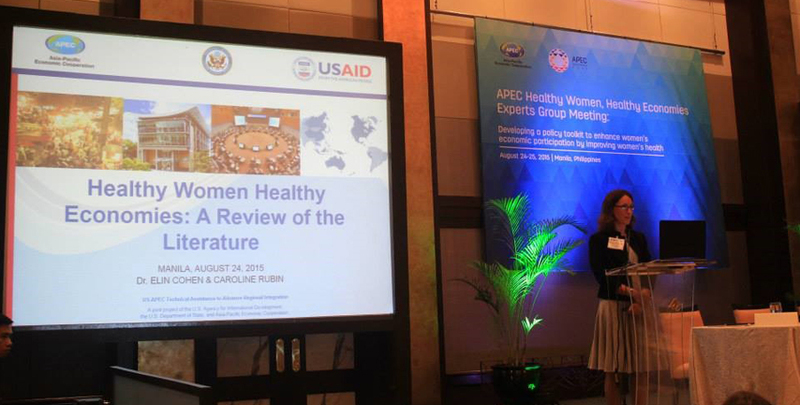 In August 2015, an Experts Group came together in Manila to form a Policy Toolkit to support APEC government officials, policymakers, civil society and the private sector seeking to improve female economic participation through better health, cognizant that there is no one size fits all approach. 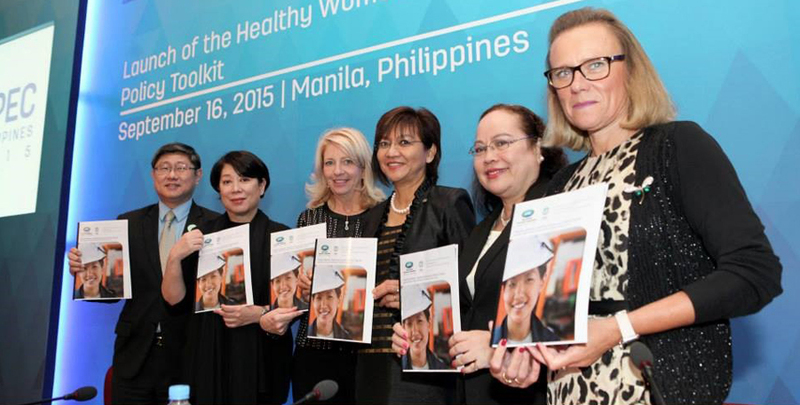 Development of the Policy Toolkit was informed by a literature review and was co-chaired by the Philippines (Department of Health, Philippine Commission on Women, and Department of Labor & Employment) and Merck. The Asia-Pacific region lags behind other global regions with respect to women’s health and economic participation. Sustainable economic growth cannot be achieved if women, who consist half of the workforce, are unable to fully participate in the economy due to health implications. Startling gender differentials and inequities in health exist which disadvantage women. For example, thyroid disorders affect five to eight times more women than men, and almost twice as many women who have heart attacks die within a year, compared to men. Yet, depending on where one lives and social norms, the initial diagnosis, treatment options, and clinical outcomes often favor men. As societies age, birth rates drop, and workforces shrink, it is becoming even more critical that every worker is healthy and able to fully contribute to the economy. According to a Booz & Company study cited widely by the International Monetary Fund (IMF), raising the female labor force participation rate to male levels would raise GDP in China and the United States by 5% and in Japan by 9%. And based on International Labour Organization (ILO) data 865 million women worldwide have the potential to contribute more fully to their economies. So how can we unleash the economic power of women? And how can governments, employers and other interested stakeholders partner to improve women’s health so women can live better lives and join – or remain – in the labor force? 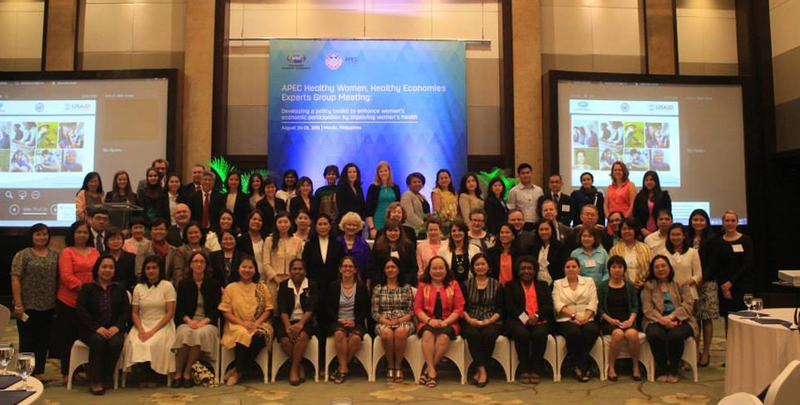 APEC’s “Healthy Women, Healthy Economies” initiative convenes government (health, labor, gender officials), private sector, academia and other interested stakeholders to raise awareness and promote good practices to enhance women’s economic participation by improving women’s health.